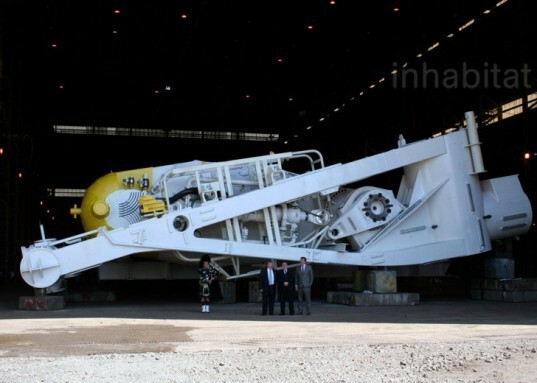 Aquamarine Power Unveils Oyster 800 Wave Energy Generator – Exclusive Photos! Scotland is renowned for its magnificent coastlines and delicious seafood – however, the latest denizen of the deep captured our attention for an entirely different reason – its ability to capture wave energy. The Oyster 800 operates in the same way as Oyster 1, but Aquamarine Power has used data and lessons learned from the first Oyster to significantly improve its power output, simplify installation and allow for easier maintenance. 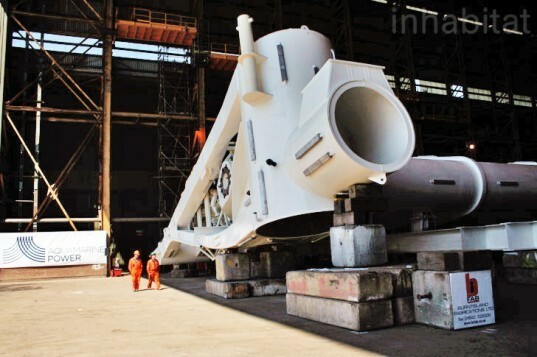 The device’s shape has been modified and made wider to enable it to capture more wave energy, and the two seabed piles system allows for easier installation. The new Oyster 800 will soon be transported from the Fife production yard to join its smaller companion at the European Marine Energy Centre (EMEC) in Orkney, with further Oysters to be deployed in 2012 and 2013. The installation will see the device being fixed to the seabed around 500 metres from the shore. This will be followed by a commissioning process which will see it connected to an onshore hydro-electric generator via subsea pipelines. The project has been supported through grant funding awarded by Scottish Enterprise and the Carbon Trust Marine renewables Proving Fund. 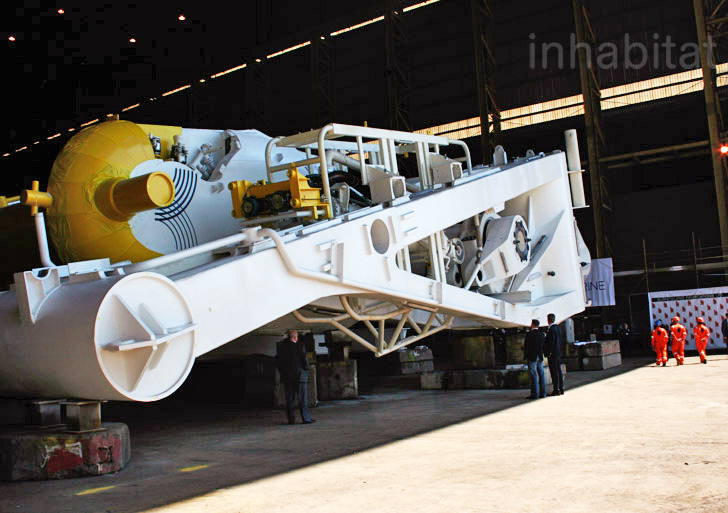 The device's shape has been modified and made wider to enable it to capture more wave energy, and the two seabed piles system allows for easier installation. Martin McAdam, Chief Executive Officer of Aquamarine Power commented: “The Oyster 800 is a significant advance on our first Oyster device. Our dedicated engineering and R&D teams have designed it to be simpler, more robust and more efficient. This means we can offer 250 per cent more power at a third of the cost. Our goal is to make future Oysters cost competitive within the next few years. The Oyster 800 will help us gather the data that we need to deliver on that." The new Oyster 800 will soon be transported from the Fife production yard to join its smaller companion at the European Marine Energy Centre (EMEC) in Orkney, with further Oysters to be deployed in 2012 and 2013. The installation will see the device being fixed to the seabed around 500 metres from the shore. This will be followed by a commissioning process which will see it connected to an onshore hydro-electric generator via subsea pipelines. First Minister Alex Salmond welcomed the advancements in wave energy conversion being made by Aquamarine Power as he stated: "Today is a significant day for Aquamarine Power and for Scotland's wider offshore renewables sector, which continues to develop a wide range of low carbon energy technologies to enable us to fully harness the huge energy resources around our own coast and contribute to global efforts to expand clean, green electricity generation."